Shenzhen is a major city in southern China located at roughly the southern center of the Guangdong Province and immediately to the north of Hong Kong. It was the first city in China to be allowed to create a special economic zone under the policies of reform and openness in 1980. The city has a total area of about 1,952 km2 and the area of the special economic zone is about 396 km2, which accounts for 20% of the total area. With a total population said to reach 14 million, it is one of the so-called Asian megacities undergoing rapid economic growth. 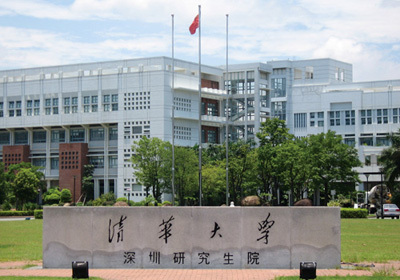 The Graduate School at Shenzhen, Tsinghua University, was jointly founded by Tsinghua University and the Shenzhen Municipal Government in June 2001 as the only branch school of the Tsinghua University (whose main campus is located in Beijing). The school was relocated to its present campus in the university town of Shenzhen at Xili in October 2003. It consists of five faculties (Information Science and Technology, Engineering, Logistics and Management, Science and Liberal Arts, and Life Science), 130 faculty members and 1,800 graduate students. Under the principle of 'One university, one brand,' it shares the same culture, style, and high aims as the Beijing campus and cultivates professionals with leadership, international vision, entrepreneurial spirit and extensive knowledge.